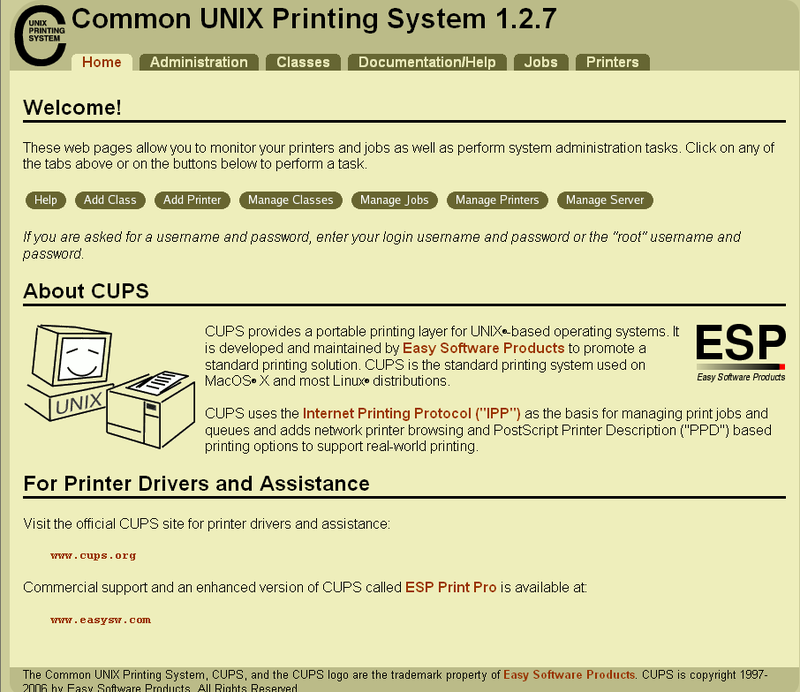 The Common UNIX Printing SystemTM, or CUPS, is the software you use to print from applications like the web browser you are using to read this page. It converts the page descriptions produced by your application (put a paragraph here, draw a line there, and so forth) into something your printer can understand and then sends the information to the printer for printing. NOTE:- If your network use DHCP it's a good idea to set up your server to use static IP. I will use as 172.20.22.74 for the server and 172.20.22.150 for administration workstation. Default configuration file located at /etc/cups/cupsd.conf in this file you need to configure the following sections to make it work. Other configuration i left default one so need to change anything. 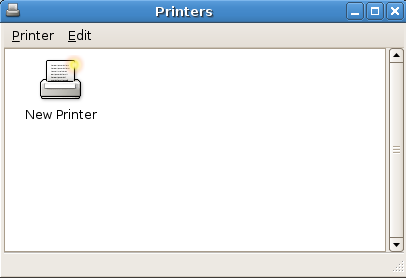 If you got the correct drivers installed and your printer is connected to the server, Now you need to add your printer under the "Administration" tab.Setup your printer and finish the setup and verify that it works by printing the CUPS test page. After finishing the setup you should see the similar to the follwoing screen now your printer is ready for printing. 1. 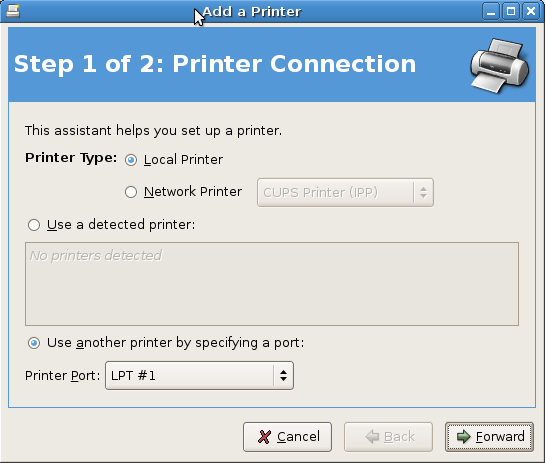 Does one need one machine for a CUPS printer server in Debian and another for a printer client? 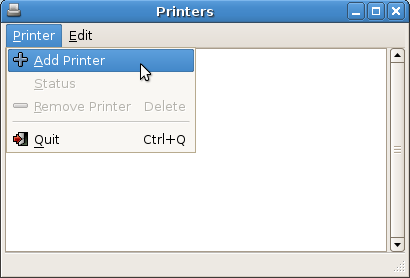 What if one wants to set up CUPS for Debian on a single machine, or else on machines where each computer has its own dedicated printer ??? Does one need to install ALL of these to get CUPS working? Which of these (if any of these) can one leave out? Briefly, what do each of these packages actually do? NOTE:- If your network use DHCP it’s a good idea to set up your server to use static IP. I will use as 172.20.22.74 for the server and 172.20.22.150 for administration workstation. What exactly do these static IP addresses represent?? Aren’t these actually translated (NAT/masqueraded) non-routable individual IP addresses within the particular 172.20.22.00 class B network used (default mask 255.255.0.0) ? Isn’t the more common case for a private network using DHCP IP-assignment, a default class C network range in the 192.168.0.0/24 series (mask=255.255.255.0) ??? Will make a first attempt to answer these (PFY?) questions as well as point you to a number of well-known references. > and another for a printer client? The title of this article is ‘Setup CUPS (Common UNIX Printing System) Server and Client in Debian’. From the title, this probably means that the shared printer is physically somehow connected to the server machine and the local or remote client is a separate machine. 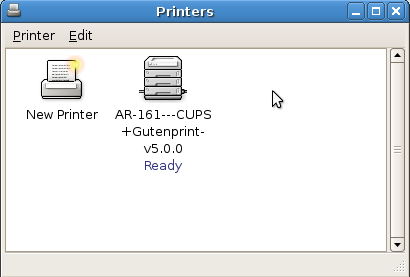 > What if one wants to set up CUPS for Debian on a single machine, or > else on machines where each computer has its own dedicated printer > ??? > Does one need to install ALL of these to get CUPS working? > Which of these (if any of these) can one leave out? > > server and 172.20.22.150 for administration workstation. > What exactly do these static IP addresses represent?? > individual IP addresses within the particular 172.20.22.00 class B > network used (default mask 255.255.0.0) ? > 192.168.0.0/24 series (mask=255.255.255.0) ??? Thanks for helping me out to set up CUPS printing for my home office server PC and a client laptop. great post. nice sharing. Its very helpful to my project. 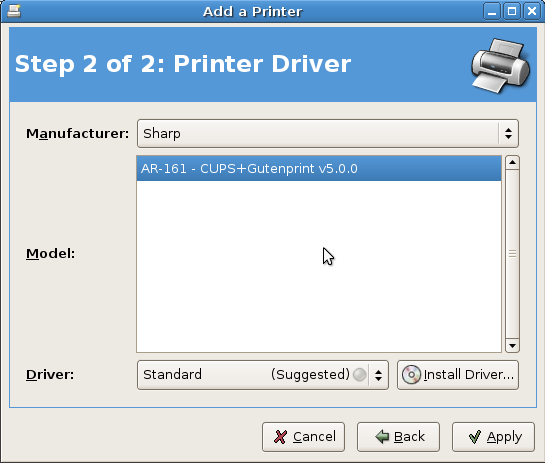 As of 09/28/10 the Squeeze version of Debian no longer uses cupsys but cups and cups-driver-gutenprint. Your apt-get statement (Under Install CUPS printer server in Debian) needs to be changed. Thanks for post. Works like a charm. 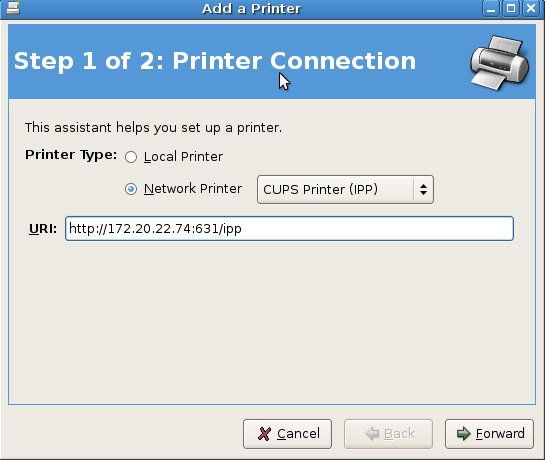 I have a scenario let us assume that my printer IP address is A and my linux IP address is B in which CUPS is installed. So could you please tell me how should i connect printer. Hi there, I have troubles connecting remotely to CUPS. but if I add the line “listen 192.168.1.7” (IP of the print server) cupsd will not start giving the error “cupsd: Child exited on signal 6”. Hi, would you mind to Update your tutorial, e.g. replace cupsys with cups? Thank you sooo much! After a night of searching for a good tutorial, THIS ONE, actually got me working on my Raspberry Pi!